Intel’s Make It Wearable competition is coming to a close and the 10 finalists are on the verge of discovering whether they’ll win the $500,000 prize money. Make It Wearable is an Intel initiative to fund new wearable products, from smart jewellery to flying drones the finalists were chosen out of hundreds of entries, and each one was awarded $50,000 to make their idea a reality. The winner of the 10 finalists will scoop the big prize money, in order to bring their idea to market. The UK is the best-represented country with 3 of the 10 finalists flying the flag for Blighty. We sat down with the hopefuls to find out more about their ideas, and to discuss what the future might hold for them. Whether it wins Make It Wearable or not, the Arc Pendant is coming out. 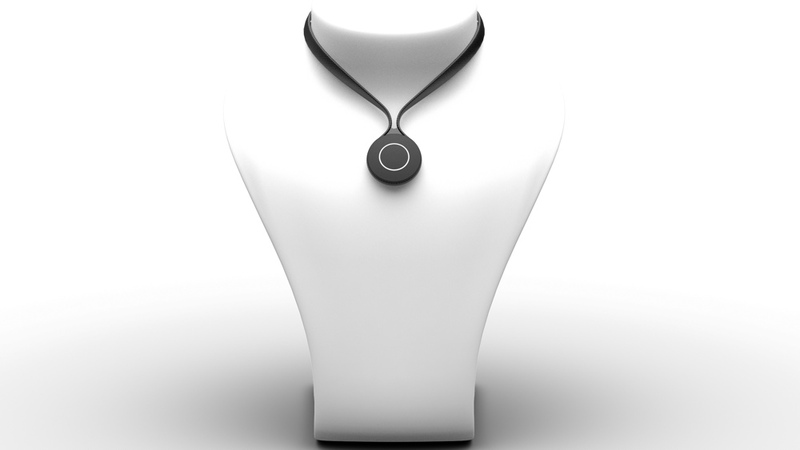 So strong is this smart necklace’s proposition that venture capitalists are already circulating, the manufacturing is already in place, and it’s sure to be a hit on Kickstarter next year. Arc’s proposition is simple: that we spend too much time looking at our screens and navigating busy streets, and we need a helping hand. The necklace has three main features. The first, Arc Explore, enables the pendant to guide you around town as you walk or cycle. It talks to your smartphone navigating you via gentle haptic directions that vibrate against your body. As well as helping you with directions, Arc Home will link to your smart devices and appliances, to automate music, lights, heating and blinds in your home – when you wake up in the morning, or return home in the evening. The final feature is activity tracking, which uses the elevated body position to track body position, posture and more – and feeds into Apple Health as well as a bespoke app. The IP67 water resistant device uses an Edison chip and should boast a month’s battery life according to its makers – a bold claim indeed. “It can be unclipped and it does pop out,” he explained. “So we could drop it into a pocket but I think out of the research we did, the number one request for Misfit Shine was in fact the pendant. Arc’s makers hope to get a production unit finished by December, in time for a crowdfunding campaign kicking off in February. This wrist-mounted drone will fly off to take pictures of your extreme sports from the air. A first person broadcasting system, to offer unique perspectives in sports such as football and basketball. A wearable that helps transmit the emotions of babies in incubators to their mothers via haptic feedback. A new kind of glove that offers workers more control and information when operating outdoors. A smart healthcare system for babies up to three years of age. An activity tracker and live data system that gives skier’s information on their form and technique. A wearable air-con unit that cools or warms the body on demand. Modular technology is breaking ground, and from Google’s Project Ara handset to Phonebloks, the idea of building your own device from the bits you want, or can afford, is fast becoming a reality. That’s the idea behind Blocks, the modular wearable that Hakeem Javaid hopes can net his team the $500,000 prize. The idea is simple. You buy the main module containing an Intel Edison processor, the screen, motion sensor and battery and then add on individual units, that clip on, to add more functionality. Additional modules include a heart rate monitor, an extra battery, a SIM card slot and a microphone. Hakeem revealed that Barclaycard have been in touch to help develop a bPay module for contactless payments. He told us that after an initial cost of $150, each extra module should only cost between $20 and $50. “In the long term Block won’t be a device, it will be a platform for wearables,” he said. “There’s so many cool ideas coming out that are all competing for the wrist. It’s a strong idea. With so many niche devices coming out – tracking everything from stress to sunlight – you can’t have everything. With Blocks you can have the features you want in one device. The only concern is what OS the device will run. Misfit is helping create the activity tracking platform, and the company is in talks with Samsung about using Tizen. Creating the apps expected for people buying into an ecosystem of this nature is going to be extremely difficult to sustain, so it’s good that Blocks is looking at third parties, and Hakeem revealed that even Android Wear is on their radar. Perhaps the ultimate wearable, albeit for a niche but important market, is a robotic hand; which its makers are hoping to solve the problem of poor prosthetics for hand amputees. The problem is that existing robotic prosthetics cost between $14,000 and $50,000, making them out of reach for most. Open Bionics is hoping to use 3D printing, 3D scanning and open source designs to make custom fitted hands available for under $1,000. The hands work with electrode sensors that attach to the working muscles in an amputee’s hand. When the hand detects the muscle working, it will open and close, smartly adjusting the grip to hold securely without over exerting pressure. You can get them custom fitted by 3D scanning the user’s arm to make a custom socket, print it off overnight and then it will be a much quicker turnaround for lower cost. “We’re focusing on kids because problems are worse for child amputees,” he said. The cause is obviously just and, if the technology lives up to the promise, Open Bionics could have a genuine game changer on its hands.